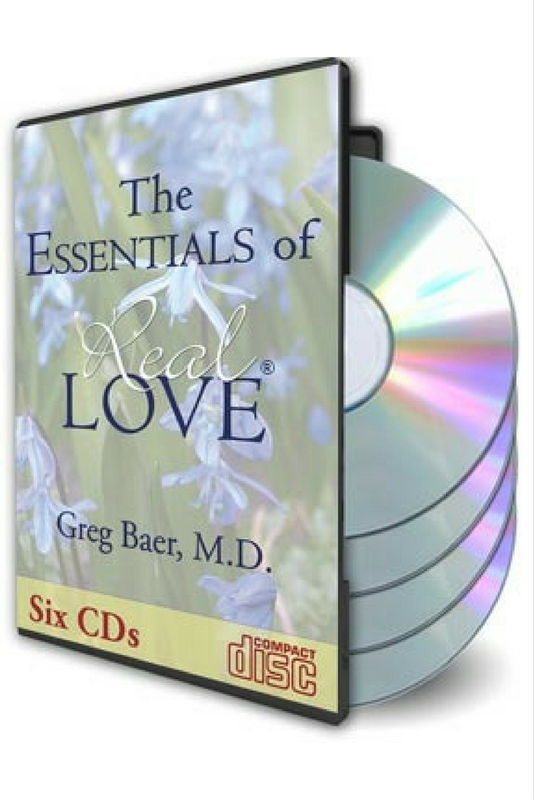 The Essentials of Real Love - Audio CDs, by Greg Baer M.D. "I've read all the books and heard all the great speakers, but Greg just blew me away! Real Love is the missing piece. What a seminar, what a presenter! This has changed my life. Thank you." This is the centerpiece of your Real Love education! In six hours of audio, you’ll feel the power of Real Love as Greg presents the essential principles of Real Love to a live audience. This engaging and humorous presentation has changed the lives of hundreds of thousands of people around the world. Add The Essentials of Real Love Workbook or Bible Workbook to help you apply the Real Love principles in your daily life. The content on the audio CDs is the same content as on the DVDs, but audio only. The Essentials of Real Love Workbook is the essential companion to the DVDs or CDs. In this workbook, Greg teaches additional principles of Real Love, but more importantly he provides questions, examples, and exercises that will change your life. This is where you learn the practical application of Real Love. The Essentials of Real Love Bible Workbook starts with the material of The Essentials of Real Love Workbook and then focuses on the principles of Real Love from a Christian viewpoint—providing numerous scriptural references that will help you apply the principles of Real Love to your spiritual life. **Please specify which Workbook you want by selecting the appropriate option above.